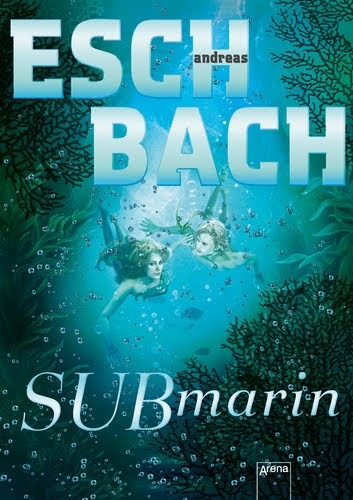 This second book, Submarin, was far from the intriguing style and story, its predecessor had. Saha is now swimming across the sea to find her father. A man she never knew and is eager to meet. She has so many questions, needs so many things to know and hopes that she can help others to understand the sea people a bit better. But life at the ocean isn´t all shiny, nice and as adventurous as she´d thought. And within no time, she is bored and does everything to get some action and life into her life under the surface. 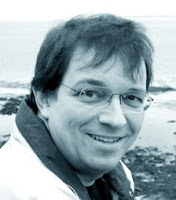 The author hasn´t changed his writing style. This novel is soft, easy to read and shows at the end the long-missed action. Saha soon finds out, that underneath the surface life isn´t as easy and great as she always thought. And it is boring. Every day the same things, the same routines, and the same stories. And the fact, that she has no control over time itself and can´t contact her aunt isn´t helpful either. I liked it very much, that the author shows the reader in an entertaining way, that the sea is in danger. That the way how we treat our environment is showing its effects it has on the sea and that we all need to rethink our actions. And still. I was missing something. I missed the tone and plot he had used in his novel Aquamarin. This second book is far from the thrill I had while reading the first book. The author knows how to show his readers the beauty of the sea, as well as the land Australia is. But some parts of this novel are too long-drawn-out. And some scenes made me ask how in the world can that be, they are underwater. Well, obviously they can. Not logic, but it happened. It turns out that the sea people see time a bit differently. And that they believe in completely different things than Saha does. Every time she is asking her guide when he will bring her to her father, or help her find information about him, she gets the same unsatisfying answer. That time will help them. Their understanding of what action is is something Saha isn´t happy about. I was impressed how Saha handled the situation towards the end when she has to find a way to get the people´s attention. The people who don´t know what´s going on under the surface and that the sea is in danger. That was impressive and the location beautiful. Guess, my expectations were way too high. This novel isn´t as entertaining as the first book has been and I am slightly disappointed. Too many questions stayed unanswered and too many new ones came up and I really hope that the author will give his readers some satisfying answers in the third book. Sad, but this one is only a bit above average for me. Without the great tension, that book one had there is simply no way for me to give it the rating, Aquamarin had deserved. Andreas Eschbach, born in Ulm, Germany, studied Aerodynamics at the Technical University of Stuttgart. With his books, he climbed definitive into the squad of the German Top-Thriller authors. His books for young readers are published at Arena Verlag. In 1996 he won one of the highest awards of German science fiction, the SFCD-Literature Award. And he is prize winner of the great German science fiction award, the Kurd Laßwitz Award, too. Today he is considered to be one of the most successful German SF writers ever. He lives as a freelance writer with his family at the French Atlantic coast.